Black boxes make use of telematics technology to help drivers keep track of how fast they are going, how hard they brake, accelerate, or take corners, and even how far they travel. In most cases, black boxes are used by insurance companies to help evaluate drivers and tailor an insurance policy to their needs. While black boxes are typically used in vehicles driven by young drivers, they can also be used in vehicles driven by experienced drivers as well. 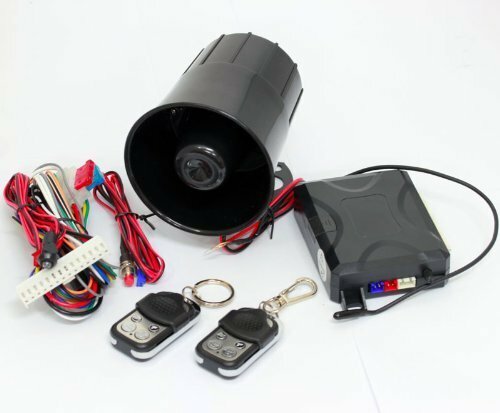 Since black boxes have a GPS to record where the vehicle is going, it can be used to deter thieves from stealing your car. If a thief should steal your car, you will know the exact location to relay to the police. Therefore, if a black box is installed, your vehicle may be less tempting to steal. Trackers use hidden transmitters to record where a vehicle is going. Not only can they be used to locate individual stolen vehicles, but potentially uncover shops with illegal exporters of stolen cars as well. Since trackers are very effective for protecting your vehicle, many insurance companies offer discounts if your vehicle has one installed. An alarm is the most common anti-theft feature found in nearly every new car today. They are designed to alert nearby people that theft is in progress, although alarms so commonly go off that many people actually ignore them as well. It is also very important to use a backup battery to hook the alarm up to since experienced thieves know to disconnect alarms from the main battery. A hood lock may also help deter thieves from disconnecting alarms as well. Immobilizers are another form of anti-theft technology that is becoming more and more common. They are designed so that a car can only be started using a properly coded key. Immobilizers work by disabling a vehicle's ignition system in 3 areas: the ignition, the starter motor, and the fuel pump. Since immobilizers are great for preventing theft, many car insurance companies offer discounts if a vehicle has them installed. Your Vehicle Identification Number (VIN) is a special number assigned only to your car. To find this number, you just have to look on your insurance and registration cards, car title, or the driver's side dashboard. One way that you can use your VIN to deter thieves is to brand the number into various parts of your car. For example, if you brand the VIN on your battery or under the hood, the parts will be much more difficult for thieves to steal. However, just make sure that the VIN is highly visible for best results. If you want to brand your VIN number, you can have a professional do the work or purchase a DIY kit. Hood locks can be used to prevent thieves from getting access to your battery. It may also prevent them from choosing your car to steal since it will involve more work. Steering wheel locks are devices that attach to your steering wheel to immobilize the vehicle. The steering wheel lock is a very popular choice, although the price range varies. Unfortunately, thieves can defeat steering wheel locks by cutting off part of the steering wheel's rim. However, the process requires the use of tools such as hacksaws, so thieves will be spotted much easier and more quickly. With these 7 anti-theft features, you can protect your vehicle from theft and ensure that it is the cheapest car to insure for new drivers. However, just always remember to practice other safe habits, such as parking your car in a garage overnight, to help keep your vehicle away from prying eyes.